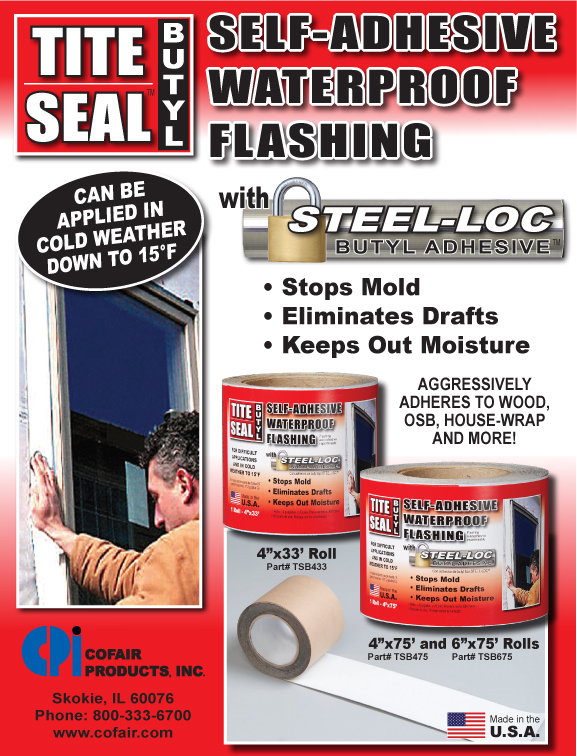 TITE SEAL BUTYL is a self-adhesive flashing composed of Steel-Loc Butyl Adhesive and a polyethylene facing material. It aggressively adheres to wood, OSB, aluminum, vinyl, house-wrap, steel, drywall, and more. It can be applied to temperatures as low as 15° F without the need for primer.